I love that I was a teenager all through the horror perfection that was the 80s. But when I watch a William Castle classic, it makes me wish I could have been at the theaters experiencing the evil little gimmicks (I prefer to think of them as pranks) the audience experienced. 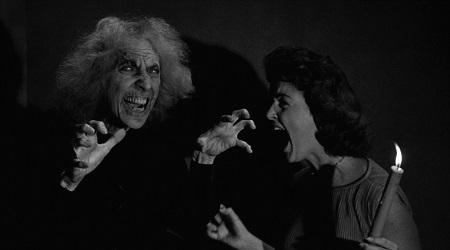 Gimmicks aside, a William Castle movie has all the great traditional elements of a good ghost story. Here are five of his earliest films, and I cover more of them here and here. 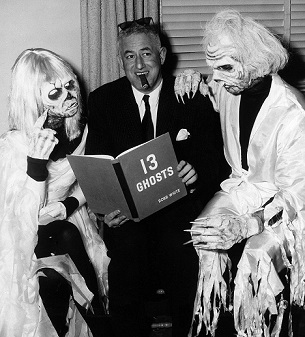 Macabre was William Castle’s first dip in the horror pool. It kind of shows. While it’s about dead people and coffins and cemeteries, it’s more of a mystery with tons of red herring thrown in, as well as flashbacks that hamper the flow of the film. The novelty when seeing it in theaters was that it was so scary that everyone was issued an insurance policy by Lloyds of London in case they died of fright while watching it. Can you say overhyped? There’s one good gruesome discovery in a coffin near the end of the film and that’s it. The story involves a doctor who has 5 hours to discover where his daughter has been buried alive, which explains all the grave digging. Who buried her alive and why? And is there a scandalous reason the doctor was MIA when his wife died while pregnant? Maybe the sheriff can solve the mystery…because he’s a young and handsome Thurston Howell the Third! 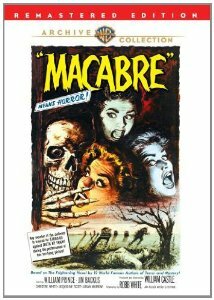 Indeed, Jim Backus is one of the stars of Macabre. Love the macabre animated sequence during the closing credits. 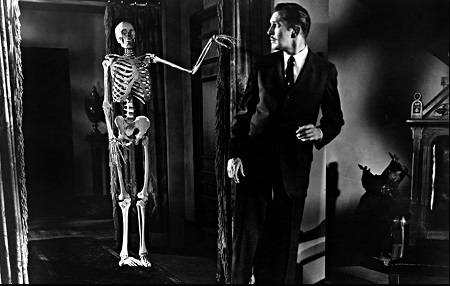 House on Haunted Hill will always be my favorite because it’s the first one I saw as a kid. And my mom told me how she saw it in the theaters and a skeleton came floating down the aisles and scared the popcorn out of everyone! It’s all my mom’s fault I’m a horror fiend. 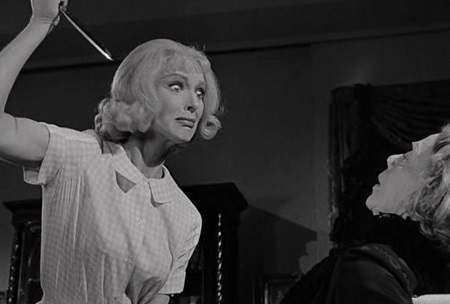 House on Haunted Hill is a perfect haunted house movie. Vincent Price plays a rich man who invites a group of people to stay in a big spooky house overnight for a whole lot of money. They don’t have much choice but to accept the offer when the freaky as hell couple who maintains the house locks them in for the night. 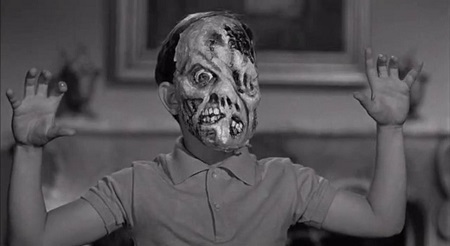 Little coffins containing guns, hidden passages, grisly hands reaching out from dark shadows, heads hanging in closets, bodies floating outside windows, a vat of acid in the basement…House on Haunted Hill still rules. Vincent Price is back. This time he’s a scientist who discovers that humans spark a fricking centipede-like bug to come to life on the spine in moments of fear. Screaming is what tames the savage bug and prevents death from fright. Vincent wants to figure out a way to extract a “Tingler” alive so he can study it. Conveniently, his friend is married to a deaf mute. She can’t talk, she can’t scream. Suddenly, she is being chased through her house by a freaky zombie with a knife! This segment plays out much like the terrifying moments a young woman experiences in House on Haunted Hill, and that’s a good thing. 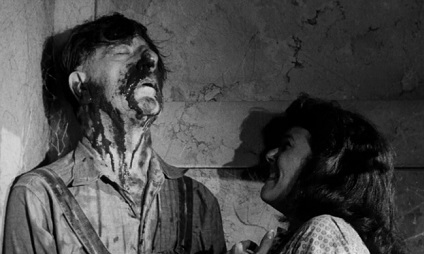 But the most unique touch here is that when the woman sees blood running out of her faucets in this black and white movie, the blood runs red! Awesome. 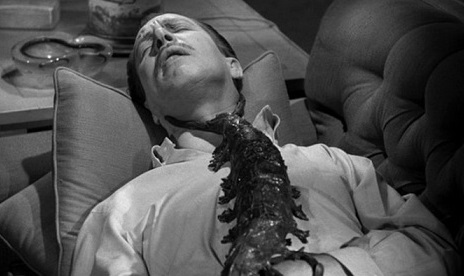 Eventually, Vincent scores himself a Tingler, giving us a great creepy crawly bug movie! 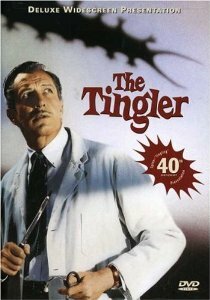 And of course, the Tingler gets away! This is when Castle’s “Percepto” gimmick came into play in real theaters, because the Tingler ends up in a theater in the movie! I would love to have been present to experience the craziness when the chairs of audience members began to tingle! 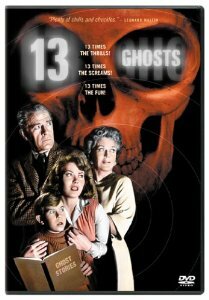 It’s incredible to see how closely the Thir13en Ghosts remake from 2001 follows the plot of the original. A family inherits a house from a dead uncle, only in the remake, it’s just dad, daughter, and son who move in…mom is still alive in the original. There are special glasses that let the family see the ghosts. 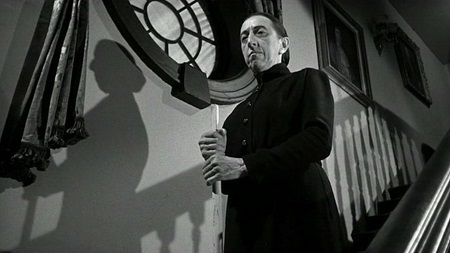 But this is where William Castle introduced the gimmick that is a major part of the characters’ experience in the remake but not shared with those watching the film. Seeing the original in the theaters, the audience had special glasses they had to look through to actually see the ghosts on screen! 13 Ghosts also has another element the remake doesn’t—a Ouija board! So cool to see the good old Ouija board trick being used in such a classic movie. And the board looks exactly the same as the Ouija board design still used in commercial boards today! But the best part of the original is the presence of Margaret Hamilton. Indeed, the Wicked Witch of the West plays the housekeeper and the little boy believes she’s a witch. The in-jokes referring to her role in The Wizard of Oz abound. She plays it up perfectly. 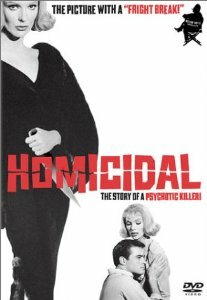 Homicidal gets compared to Psycho, which came out a year before, but I’m sure it was actually a much more shocking ending when all was revealed back in the day. It’s pretty fascinating to watch today even if you know the twist. When it originally showed in theaters, before the last few minutes of the movie there was a “fright break” that gave you the option to leave if you were too scared to see the end! The plot is nothing like that of Psycho. This is a complex story involving an inheritance, a sister, her half-brother, the wheelchair-bound mute woman who cared for him as a child, and her caretaker, a young woman who is totally psycho! The wheelchair scenario seems inspired by What Ever Happened to Baby Jane?, but this movie came first! I’d also guess that this movie was the inspiration for a plot in the video game Resident Evil: Code Veronica as well as inspiration for movies like Sleepaway Camp and De Palma’s Dressed to Kill. It’s definitely a game changer that doesn’t get the recognition it deserves. 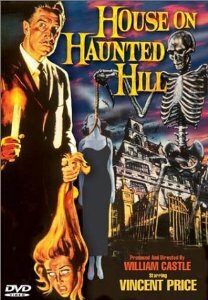 This entry was posted in Movie Times & Television Schedules - Staying Entertained, The Evil of the Thriller - Everything Horror and tagged 13 Ghosts, Homicidal, House on Haunted Hill, Macabre, The Tingler, Vincent Price, William Castle. Bookmark the permalink.